Summary jury trials are so controversial, one South Florida juror has stepped in to question a judge's authority to mandate them, claiming jurors were misled into thinking a nonbinding trial was real. But not everyone is quick to dismiss them. If a mock trial and a private mediation session had a baby, it would be a summary jury trial. These nonbinding trials feature real juries, help decide real cases, and are popping up in South Florida courtrooms at the behest of judges hoping to expedite proceedings. 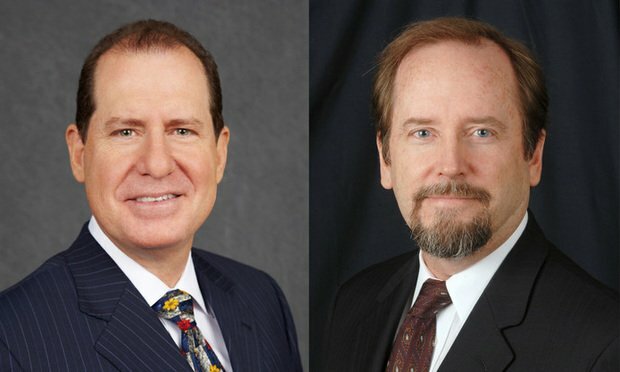 Thomas E. Ice of Ice Legal in Lake Worth recalled being “dragged kicking and screaming” into one and now represents juror Venus Claman, who’s petitioned the court over claims West Palm Beach Circuit Judge Edward L. Artau misled her into thinking a trial was real. According to Ice, the jurors in his case didn’t realize the trial wasn’t binding and that they didn’t have to participate. But David B. Haber of Haber Law had a radically different experience, one that illuminated his case and brought both parties closer to resolution. Haber swears by summary jury trials and encourages anyone with a complex case to give them a shot. If the term “summary jury trial” isn’t ringing any bells, that’s no shocker, according to Ice. When Artau mandated one in his case, both parties were flummoxed. “Everyone looked at each other and said, ‘Huh? What’s that?’ ” Ice said. What happens in a summary jury trial? Attorneys present evidence to the jury using pictures, charts and graphs, but there’s no live testimony, just summarized statements read aloud. As many as two or three separate juries deliberate and return with verdicts. And then the floor opens for questions — this time by attorneys seeking feedback from jurors. Attorneys from either side can ask about what worked, what didn’t and why. Both parties then have a settlement conference to see where they stand, and voila, maybe there’s a resolution based on what each side believes a jury might find during a trial. This time, the results would be binding. The summary jury trial first emerged in the 1980s, borne out of U.S. District Judge Thomas Lambros’ desire to resolve a seemingly never-ending personal injury case in the Northern District of Ohio. Neither party would agree to settle, but the judge thought they might, if they saw how a jury would rule. Summary jury trials soon became controversial, as federal courts questioned whether judges were authorized to mandate them, and they fizzled out. But the seed of the idea remains in some Florida courtrooms. At its best, these proceedings could turn two-week trials into dayslong affairs, saving time, money and aggravation. That’s precisely how it went for Haber, who represented the plaintiff in a complex construction case with 40 defendants before former West Palm Beach Circuit Judge Jack S. Cox. At their worst, according to Ice, summary jury trials can be bad for clients, bad for jurors and bad for a case, particularly when mediation comes on the heels of a trial against parties “still stinging” from jurors rejecting their argument.